According to a 2014 public opinion survey by TransUnion Healthcare, around 54% of Americans are confused by their medical bills. So in this installment of “We Have Too Much Wine on Our Hands,” we will be constructing a drinking game around the arduous task of actually reading and understanding your medical bills. Many of us might label these as junk and move on, but it’s important to read and understand your statements for every procedure to make sure everything is accurate. And what better way to do this than with a stiff drink in hand? Open a few browser tabs on your computer for referencing medical terms and codes, crack open a cold one or uncork that bottle of red and let’s get down to business. Crap! You didn’t shop around for the best price on your medical procedure and you’re stuck with a bunch of additional fees. 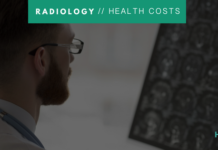 You had no idea that insurance companies negotiate different costs for things like reading fees after your MRI, and the hospital you chose has a higher demand for this type of procedure so you’re stuck paying more. Take three sips for your healthcare price comparison slip up, and remember that an MRI cost might be less at an outpatient imaging center for next time. Are there more than five procedural codes you don’t understand? What’s the code for your MRI and how the heck do you find it? We’re sure your head is spinning already thanks to all the medical jargon, so just go ahead and down the rest of your glass. Now it’s time to brush up on your code knowledge. HCPCS Level II codes indicate products, supplies and extraneous health services like ambulance services, medical equipment, like prosthetics, or other supplies used outside a physician’s office. Shucks! You found a billing error in the eagle-eyed (okay, blurry-eyed) skim of your bill. Thank goodness you read that! Perhaps it’s a mistyped value or an incorrect code. Regardless of the error or the reason, it’s important you bring this to the attention of your insurance company…after you take a shot of whatever you have in the back of your freezer. Double shot for no errors at all, because you deserve it. Well, sometimes your insurance might not be the best route for getting the best deal. Take a double shot for every self-pay price you find for your MRI procedure that is cheaper than what you have to pay out-of-pocket with your insurance plan. Next time, remember than the cost of MRI without insurance isn’t always as much as you think. In your hazy review, you find that your insurance company did not send the complete bill with itemized services and codes. Now you’ll have to call your insurance representative—who you’ve got on speed dial—and ask him or her for the full bill. Time to refill your glass and pat yourself on the back for being a bill-reading ninja. Cue power music. Press onward. Your medical bills usually arrive with another document called an Explanation of Benefits (EOB). This document will outline your plan’s coverages. When reviewing your medical bills, compare the bill to your EOB to make sure everything matches. If something doesn’t add up, you’re in for one big swig from your drink of choice. If everything adds up at the bottom of your bill, your charges are not being disputed and you feel everything is fair, it’s time to clean up. Take your last few sips, wash out your glass and congratulate yourself for being proactive about negotiating lower health care costs. There is no rest for the wicked when it comes to adequately reviewing and monitoring your medical bills. And let’s just be honest, it’s probably more fun to watch paint dry. So try out our medical bill drinking game next time and get your buzz on while managing your medical costs like a boss. 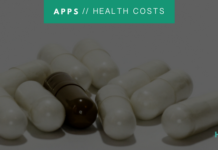 Next articleHow Much Does an MRI Cost?